I read 28 books in 2018 (about one every 2 weeks). Recently, I’ve been getting into the habit of taking notes in the margins and writing down a summary of what I learned after finishing them. This blog post is a more-or-less unedited dump of some of my notes on some of the books I read last year. They were originally notes for myself and weren’t meant to be published, so a lot of ideas aren’t very well fleshed out. Without further ado, let’s begin. Energy can’t really be defined since it’s not a physical property. Can only write it as a sum of a bunch of things, and note that within a closed system, it always stays the same (first law of thermodynamics). A process is reversible if you can do it in reverse to get back the initial state. No physical process is perfectly reversible, but closer it is to reversible, the more efficient it is. Heat engines convert a heat differential into work. Two types are the Otto cycle (used in cars) and the Carnot cycle. Surprisingly, heat engines cannot be perfectly efficient, even under ideal conditions; the Carnot limit puts an upper bound. A heat engine that perfectly converts heat into work violates the second law of thermodynamics. Second law of thermodynamics says that entropy always increases; moreover, it increases for irreversible processes and remains the same for reversible processes. This is useful for determining when a “box of tricks” (taking in compressed air, outputting cold air at one end and hot air at the other end) is possible. The book doesn’t give much intuition about why the definition of entropy makes sense though, it literally tries random combinations of variables until one “works” (gives a constant value experimentally). Second law of thermodynamics is merely an empirical observation, and can’t be proved. In fact, it can be challenged at the molecular level (eg: Maxwell’s demon) which isn’t easily refutable. 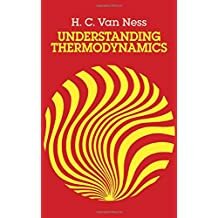 Statistical mechanics gives an alternate definition of entropy in terms of molecular states, and from it, you can derive various macroscopic properties like temperature and pressure. However, it only works well for ideal gases, and doesn’t quite explain or replace thermodynamics. 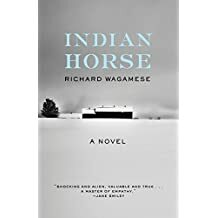 This book is about the life of an Ojibway Indian, living in northern Ontario and growing up in the 60s. When he was young, they sent him to a residential school where he was badly treated and not allowed to speak his own language. He found hockey and got really good at it, but faced problems with racism so he couldn’t really make it in the big leagues with white people. Later, he faced more racism in his job as a logger. Eventually, he developed an alcohol addiction due to this disillusionment and finally comes to terms with his life. Very interesting perspective on the indigenous people of Canada, a group that most of us don’t think about often. Despite numerous government subsidies, they’re still some of the poorest people in the country, with low education levels. Some people think it’s laziness, but they’ve had a history of mistreatment in residential schools and were subjected to racism until very recently, so it’s difficult for them to integrate into society. Their reserves are often a long distance from major population centers, which means very few opportunities. Furthermore, their culture doesn’t really value education. Overall, great read about a group currently marginalized in Canadian society. 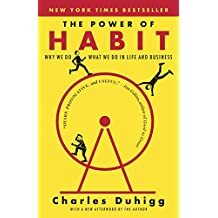 Book that discusses various aspects of how habits work. On a high level, habits have three components: cue, routine, and reward. The cue is a set of conditions, such that you automatically perform a routine in order to get a reward. After a while, you will crave the reward when given the cue, and perform the routine automatically (even if the reward is intermittent). To change a habit, you can’t just force yourself not to do it, because you will constantly crave the reward. Instead, replace the routine with something else that gives a similar reward but is less harmful. Forcing yourself to do something against habit depletes your willpower, so it’s much better to change the habit, so you do it automatically and retain your willpower. Large changes are often precipitated by a small “keystone” habit change that catalyze a series of systemic changes. For example, Alcoa, an aluminum company, improved its overall efficiency when it decided to focus on safety. Sometimes a disaster is needed to bring about an systemic change in an organization, like a fire in King’s Cross station or operating on the wrong side of a patient in a hospital. Peer pressure is important, for example it’s a key component in Alcoholics Anonymous and making the black civil rights movement go through. Overall, pretty interesting read, although I think there’s too much dramatic storytelling and anecdotes; I would’ve preferred more scientific discussion and a bit less storytelling. 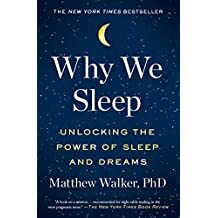 This book gives a comprehensive scientific overview of sleep. Although there are still many unanswered questions, there’s been a lot of research lately and this book sums it up. Sleep is a very necessary function of life. Every living organism requires it, although in different amounts, and total lack of sleep very quickly leads to death. However it’s still unclear exactly why sleep is so important. There are two types of sleep: REM (rapid eye movement) and NREM sleep. REM sleep is a much lighter form of sleep where you’re closer to the awake state, and is also when you dream; NREM is a much deeper sleep. You can distinguish the type of sleep easily by measuring brain waves. Sleep deprivation is really bad. You don’t even need total deprivation, even six hours of sleep a day for a few nights is as bad as pulling an all-nighter. When you’re sleep deprived, you’re a lot worse at learning things, controlling your emotions, and you’re also more likely to get sick and more susceptible to cancer. Dreams aren’t that well understood, but they seem to consolidate memories, including moving them from short term to long term storage. REM sleep especially lets your brain find connections between different ideas, and you’re better at problem solving immediately after. Insomnia is a really common problem in our society, in part due to it being structured to encourage sleeping less. Sleeping pills are ineffective at best (prescription ones like Ambien and Benzodiazepines are actually really harmful), the recommended treatment is behavioral, like sleeping in a regular schedule, avoiding caffeine and nicotine and alcohol, don’t take naps, avoid light in the bedroom. My parents always told me it’s bad to stay up so late, but science doesn’t really support this. Different people have different chronotypes, which are determined by genetics (and somewhat changes by age). It’s okay to sleep really late, as long as you maintain a consistent sleep schedule. Overall I learned a lot from this book but it’s a fairly dense read, with lots of information about different topics, and it took me over a month to finish it. I read this Dostoyevsky book because it had an interesting plot of a man who tries to rescue a prostitute. It turns out that the rescuing prostitute part is not really the central event of the book, but nevertheless I found it quite interesting. 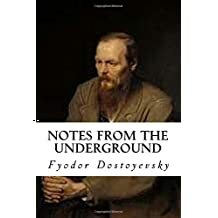 The novella is short enough (90 pages) unlike Dostoyevsky’s other books which are super long. It explores a lot of philosophical and psychological ideas in an interesting setting. The unnamed narrator is a man from the “underground” — he is some kind of civil servant, middle aged, and has health problems. He rejects the idea that man must do the rational thing, as then he is like a machine. He rejoices in doing stupid things from time to time, just because he feels like it, then he can retain some of his humanity. In the second part of the book, the narrator feels like he is not seen as equal by his peers, and goes to extreme lengths to remedy it. He forcefully invites himself to a dinner party with old friends, and is dismayed that his social status is so low that he’s just ignored. He would much rather have a fight than be ignored, and tries to provoke a fight in an autistic manner. Later he meets a prostitute Liza, whom he offers to save. However, when she actually shows up at his place, he is stuck in his own world and lectures to her about the virtues of morality, without actually helping her. The narrator feels surreal, kind of like valuing social acceptance to an extreme degree. After all, the narrator is physically well-off, he is at least rich enough to hire one servant. However, as long as he feels inferior to his peers, he is frustrated. Also, the more he tries to gain respect from his peers, the more his efforts backfire and his position is lowered in their eyes. Social recognition isn’t something you should pursue directly. 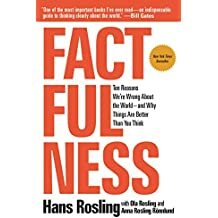 This book was written by Hans Rosling (the same guy that made The Joy of Stats documentary) just before he died in 2017. It uses stats to show that despite what the media portrays, and despite popular conception, the world is not such a bad place. Extreme poverty is on the decline, children are being vaccinated, women are going to school. At the beginning of the book, he gives a quiz of 13 questions. Most people score terribly, worse than random chance, by consistently guessing that the world is worse than it actually is. Without looking at stats, it’s easy to be systematically mislead and fall into a bunch of falacies like not considering magnitude of effects, generalizing your experience to others, or acting based on fear. Maybe because of my stats background, a lot of what he says is quite obvious to me. Also I scored 9 on the quiz, which is higher than pretty much everyone. It confirmed some stuff that I already knew, but still it had good insights on poverty and developing nations. A big takeaway for me is to be thankful of what we have, seeing the difference of lives in levels 1-3. Canada is a level 4 country (where people spend more than $32 dollars a day) yet people make fun of me for making 20k/year “poverty” grad school wages. Grad students in Canada should be thankful that we have electricity, running water, can eat out at restaurants, and not sad that we can’t afford luxury cars and condos. In this novel, a Chinese women, Shu Wen from Suzhou, travels to Tibet to search for her missing husband. This was in 1958, when the Chinese Communist Party annexed Tibet. On the way there, she picks up a Tibetan woman, Zhuoma. 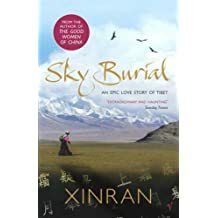 They get into some trouble in the mountains and meet a Tibetan family, and gradually Wen integrates into the Tibetan culture and learns the language and customs. Time passes by quickly and before you realize it, 30 years has passed while they have practically no information from the outside world. In the end, Wen does find out what happened to her husband through his diaries, but it’s a bittersweet sort of ending as her world is changed unrecognizably and her husband is dead. The author makes it ambiguous whether this is a work of fiction or it actually happened — all the facts seem believable, other than somehow not finding out about the great famine and cultural revolution for decades. A lot of interesting Tibetan customs are explained: their nomadic lifestyle, polyamorous family structure, buddhist religious beliefs, and their practice of sky burial which lets vultures eat their dead. The relationship between the Chinese and Tibetan has always been a contentious one, and in this book they form a connection of understanding between the two ethnic groups. Tibet seems like a really interesting place that I should visit someday. However, it’s unclear how much of their traditional culture is still accessible, due to the recent Han Chinese migrations. Also, it’s currently impossible to travel freely in Tibet without a tour group if you’re not a Chinese citizen. 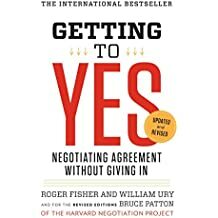 This book tells you how to negotiate more effectively. A common negotiating mistake is to use positional negotiation, which is each side picking an arbitrary position (eg: buy the car for $5000), and going back and forth until you’re tired and agree, or you both walk out. Positional negotiation is highly arbitrary, and often leads to no agreement, which is bad for both parties. Emphasize with the other party, get to know them and their values, treat it as both parties against a common problem rather than you trying to “win” the negotiation. Focus on interests, rather than positions. During the negotiation, figure out what each party really wants; sometimes, it’s possible to give them something that’s valuable for them but you don’t really care about. Negotiation is a nonzero sum game, so try to find creative solutions that fulfill everybody’s interests, rather than fight over a one-dimensional figure. When creative solutions are not possible (both sides just want money), defer to objective measures like industry standards. This gives you both an anchor to use, rather than negotiating in a vacuum. Be aware of your and the other party’s BATNA: best alternative to negotiated agreement. This determines who holds more power in a negotiation, and improving it is a good way to get more leverage. 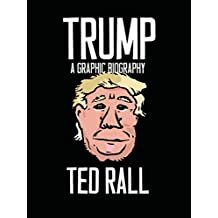 A biography of Trump in graphical novel format. This book was written after Trump won the republican primaries (May 2016) but before he won the presidency (Nov 2016). First, the book describes the political and economic circumstances that led to Trump coming into power. After the 2008 financial crisis, many low-skilled Americans felt like there was little economic opportunity for them. Many politicians had come and gone, promising change, but nothing happened. For them, Trump represented a change from the political establishment. They didn’t necessarily agree with all of his policies, they just wanted something radical. Trump was born after WW2 to a wealthy family in New York City. He studied economics and managed a real estate empire for a few decades, which made him a billionaire. Through his deals in real estate, he proved himself a cunning and ruthless negotiator who is willing to behave unethically and use deception to get what he wanted. This was a good read because most of my friend group just thinks Trump is “stupid”, and everyone who voted for him is stupid. I never really understood why he was so popular among the other demographic. As a biography, the graphic novel format is good because it’s much shorter; most other biographies go into way too much detail about a single person’s life than I care to know about. Jordan Peterson’s new book that quickly hit #1 on the bestsellers lists after being released this year. He’s famous around UofT for speaking out against social justice warriors, but I later found out that he has a lot of YouTube videos on philosophy of how to live your life. 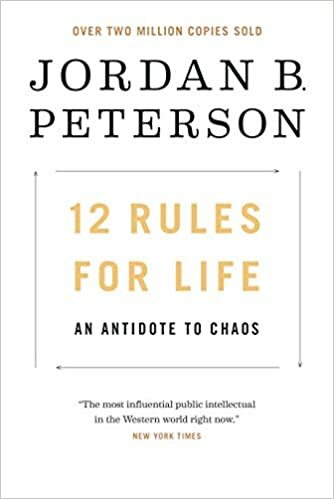 This book summarizes a lot of these ideas into a single book form, in the form of 12 “rules” to live by, in order to live a good and meaningful life. Dominance hierarchy: humans (especially men) instinctively place each other on a hierarchy, where the person at the top has all the power and status, and gets all the resources. Women want to date guys near the top of the hierarchy, and men near the top get many women easily while men at the bottom can’t even find one. Therefore, it’s essential to rise to the top of the dominance hierarchy. Order and chaos: order is the part of the world that we understand, that behaves according to rules; chaos is the unknown, risk, failure. To live a meaningful life is to straddle the boundary between order and chaos, and have a little bit of both. When raising children, it’s the parents’ responsibility to educate them how to behave properly to follow social norms, because otherwise, society will treat them harshly and this will snowball into social isolation later in life. Also, they should be encouraged to do risky things (within reason) to explore / develop their masculinity. Some of the other rules are more obvious. Examples include: be truthful to yourself, choose your friends wisely, improve yourself incrementally rather than comparing yourself to others, confront issues quickly as they arise. I guess depending on your personality and prior experience, you might find a different subset of these rules to be obvious. Initially, I found JP to be obnoxious because of the lack of scientific rigour in his arguments, he just seems convincing because he’s well-spoken. The book does a slightly better job than the videos in substantiating the arguments and citing various psychology research papers. JP also has a tendency to cite literature; when he goes into stuff like bible archetypes of Christ, or Cain/Abel, then I have no idea what he’s talking about anymore. The book felt a bit long. Overall still a good read, I learned a lot from this book and also by diving deeper into the psychology papers he cited. 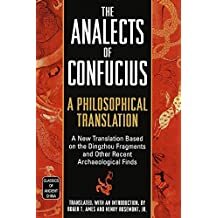 The Analects (论语) is a book of philosophy by Confucius and lays down the groundwork for much of Chinese thinking for the next 2500 years. It’s the second book I’ve read in ancient Chinese literature after the Art of War. It’s written in a somewhat different style — it has 20 chapters of varying lengths, but the chapters aren’t really organized by topic and the writing jumps around a lot. junzi 君子 – exemplary person. The ideal, wise person that we should strive to be. A junzi strives to be excellent (德) and honorable (信), and not be arrogant or greedy or materialistic. He seeks knowledge, respects elders, is not afraid to speak up, and conducts himself authoratatively. li 礼- ritual propriety. The idea that there are certain “rituals” that society observes, and that if a leader respects them, then things will go smoothly. Kind of like the “meta” in games — modern examples would be the employer/employee relationship, or what situations do you perform a handshake with someone. xiao 孝 – filial responsibility. A son must respect his parents and take care of them in old age, and mourn for them for three years after their death (since for three years after birth, a child is helpless unless for his parents). ren 仁 – authorative conduct / benevolence / humanity. Basically a leader should conduct himself in a responsible manner, be fair yet firm. dao 道 – the way. One should forge one’s path through life. An obvious question is why should we listen to Confucius if there’s no appeal either to a higher power (like the bible) or by axiomizing everything. I don’t really know, but many Chinese have studied this book and lived their lives according to its principles, so by studying it, we can better understand how Chinese think. I feel like the Analects tells us how an ideal Chinese is “supposed” to think, but modern Chinese people are very much the opposite. Modern Chinese people are generally very materialistic, competitive, and care about comparing themselves to people around them. A friend said much of what is written here is “obvious” to any Chinese person — but then why don’t they actually follow it? I guess modern Chinese society is very unequal, and one must be competitive to rise to the top to prosper. So the cynical answer is that recent economic forces override thousand-year philosophy, which is the ideal, but falls apart when push comes to shove. The Analects is a very thought-provoking book. It’s surprising how many things Confucius said 2500 years ago is still true today. I probably missed a lot of things in my first pass through it — but this is a good starting point for further reading on Chinese philosophy and literature. Pachinko is the name of the Japanese pinball game, where you watch metal balls tumble through a machine. 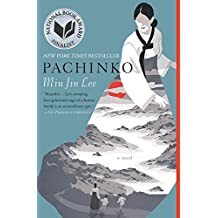 It’s also the name of this novel, that traces a Korean family in Japan through four generations (Yangjin/Hoonie/Hansu -> Sunja/Isak -> Noa/Mozasu -> Solomon/Phoebe). Sunja is the first generation to immigrate to Japan during the 1930s, after being tricked by a rich guy who got her pregnant. Afterwards, they make their livelihoods in Japan, but they are always considered outsiders, despite being in the country for many generations. It’s surprising to see so much racism in Japan towards Koreans, since Canada is so multicultural and so accepting of people from other places. Japan is very different: even after four generations in Japan, a Korean boy is still considered a guest and must register with the government every few years or risk getting deported. The Koreans in Japan can’t work the same jobs as the Japanese, can’t legally rent property, and get bullied at school, so they end up working in pachinko parlors, which the Japanese consider “dirty”. All the Korean men: Mozasu, Noa, and Solomon end up working in pachinko, hence the name of the book. One thing that struck me was how so many of the characters valued idealism more than rationality. Yoseb doesn’t want his wife to go out to work because he considers it improper. Sunja and Noa don’t want to accept Hansu’s help because of shame, even though they could have benefitted a lot, materially. All the Christians have this sort of idealist irrationality, which I guess is part of being religious — only Hansu behaves in a way that makes sense to me. This book gets a bit slow in the end as there are too many minor characters, but is overall a thought provoking read about racism in Japanese society. 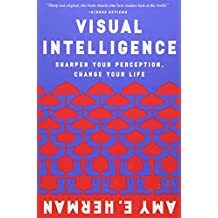 Train yourself to be more visually perceptive by looking at art, and trying to notice every detail. This seems trivial but often we miss things. Now in the real world, do the same thing and see things in a different way. Our experiences shape how we perceive things, so it’s important to describe things objectively rather than subjectively. Do not make assumptions, rather, describe only the facts of what you see. From a picture you can’t infer a person is “homeless”, but rather that he’s “lying on a street next to a shopping cart”. 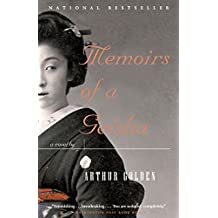 This novel tells the story of the geisha Sayuri, from her childhood until her death. It pretends to be a real memoir, but it’s written by an American man. The facts are thoroughly researched, so we get a feel of what Kyoto was like before the war. Essentially, society in Japan was very unequal — the women have to go through elaborate rituals and endure a lot of suffering to please the men, who just have a lot of money. However, even without formal power, the geishas like Mameha and Hatsumomo construct elaborate schemes of deceit and trickery. The plot was exciting to read, but certain characters felt flat. Sayuri’s infatuation for the chairman for decades doesn’t seem believable — maybe I would’ve had a crush like that as a teenager, but certainly a woman in her late 20s should know better. Hatsumomo’s degree of evilness didn’t seem convincing either. Lastly, having read some novels by actual Japanese authors, this book feels nothing like them. Japanese literature is a lot more mellow, and the characters more reserved: certainly nobody would act in such an obviously evil manner. Japanese novels also typically have themes of loneliness and isolation and end with people committing suicide, which doesn’t happen in this novel either. Hey, just want to drop a ‘hi’ as a thank-you for the great writing. I was doing a google search for ‘linguistics in Vietnamese’ and somehow one of the results is your blog. Yeah it’s totally not what I was looking for but I read through some of your entries and they’re all really interesting! Thanks, glad you enjoyed my posts!